2019 Passover preparation starts now! This special holiday requires a restricted menu to correspond with the religious story being told. 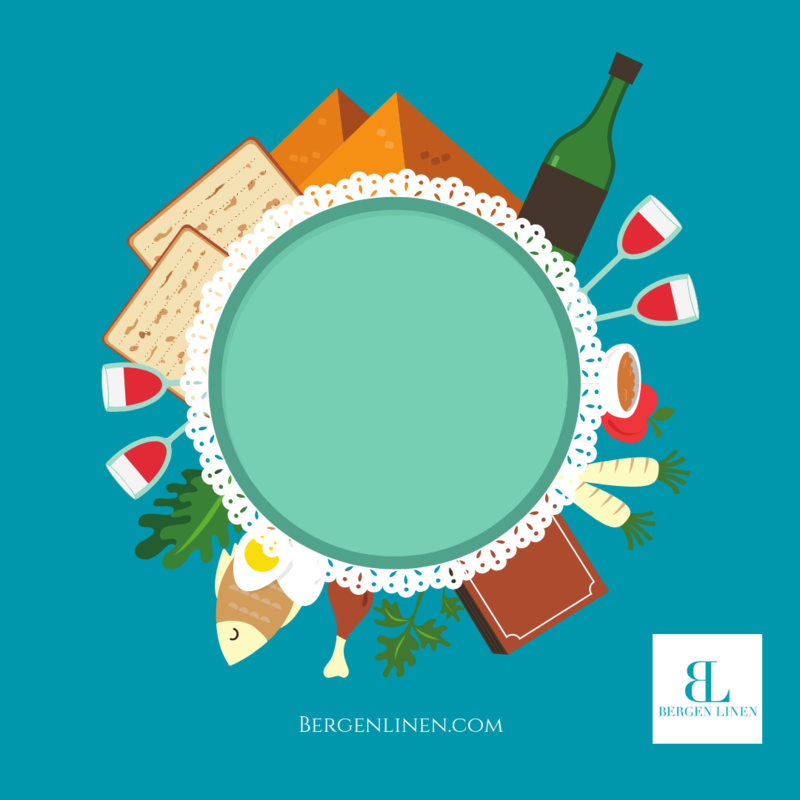 There are several edible items that should be found at a Passover dinner table. Why not provide this plate with a pretty backdrop? Whether you are a business or a dinner host, Bergen Linen provides party linen rentals. No order is too big or too small. We are here for you – the community. Are you interested in a quote? Please feel free to give us a call at (800) 789-8115 or email info@bergenlinen.com.